Mentos gum campaign #SamHasMentosGum won the silver award for activating campaign 2018 for category “Leap of Faith”. To boost engagement among a younger audience, Mentos pick a fresher Sam during campus move-in from the University of Wisconsin-Madison. The selection made after scrutinising thousands of applicants’ with their social media backgrounds, and job posting on university’s online career. The brand challenged Sam to share 43,000 Mentos Gum bottles—one for every student at his school—between move-in day and the first day of class. If he succeeded, he would win a year of tuition for himself and a free, on-campus DJ Khaled concert for 43,000 of his closest friends. 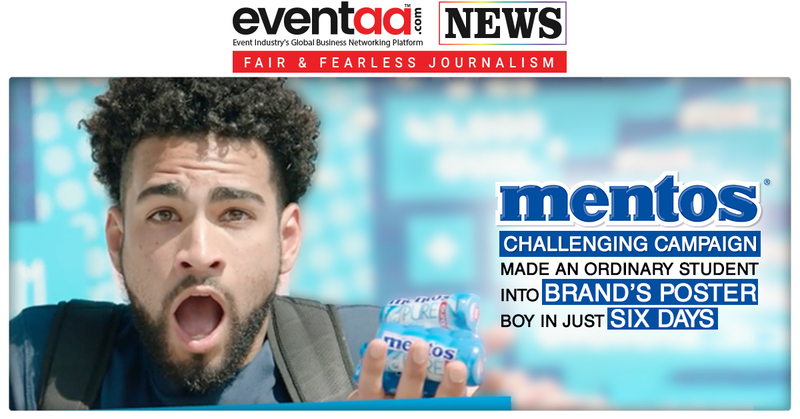 To help Sam, Mentos blanketed the campus with billboards, banners, posters and table-tents featuring his likeness and #SamHasMentosGum, and executed 21 activations. Video shorts were also created for Mentos’ social channels to help build buzz, along with a microsite that provided real-time updates on Sam’s progress. Sam completed his challenge and won the school a DJ Khaled concert. In addition to becoming a campus legend, he helped Mentos distribute more than 49,000 samples. The campaign brought 300 million impressions in 1 week and now an award for the campaign.